← We’re looking for an intern! 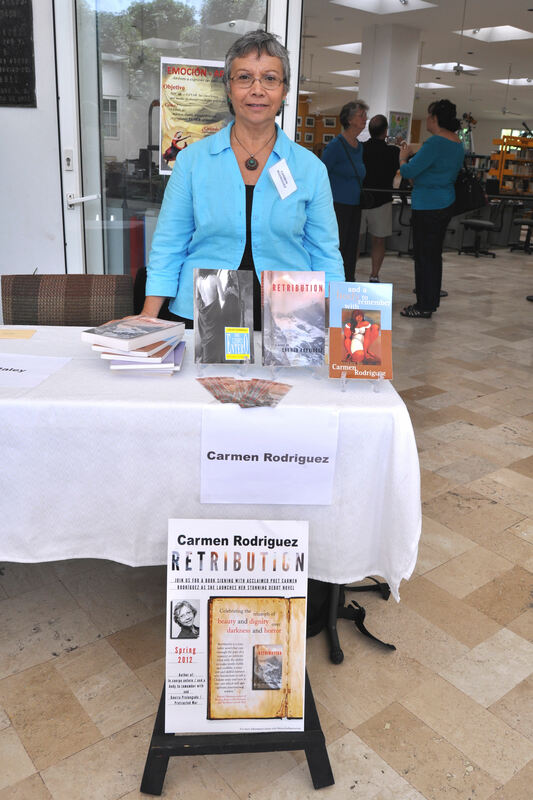 We are pleased to announce that Retribution by Carmen Rodríguez has been nominated for the International Latino Book Award in the popular fiction category. The awards will take place on June 5that the Instituto Cervantes in Midtown Manhattan, during Book Expo America. They are presented by Latino Literacy Now in partnership with Los Comadres Para Las Americas and Instituto Cervantes. Retribution takes place in Chile over the course of three generations in Valdivia, Santiago, and finally in Vancouver, Canada, in exile. The writing of the novel began in Spanish and was intended to be a trilogy, but as Carmen rewrote it in English and continued to sculpt the stories of the Martinez family, their narratives coalesced into a single work that covers over seventy years. It’s no surprise then that Retribution took ten years to create. And yet fortuitously the novel was released at a moment when its depiction of the student movements of the 1960s closely resembled the ones that are happening today, and which continue to bring out hundreds of thousands of Chileans onto the street to combat the increasing privatisation of public services and the concentration of wealth in the country. Retribution comes during a particular high point for works coming out of Canada with Latin American themes. As mentioned before on this blog and elsewhere, Carmen has read with her daughter, Carmen Aguirre, and was delighted at the awarding of Something Fierce at this year’s Canada Reads competition. It’s a delight that Retribution is being acknowledged by the Latino community through the nomination for this award, and we are pleased to be in the company of others who further strong programs for the community through literacy, culture and skill sharing groups throughout the USA. Latino Literacy Now was founded to promote literacy in the Latino community in all forms: educational, financial, reading, and community awareness. Since 1997, 49 Latino Book & Family Festivals have been held around the USA with a combined attendance of over 800,000. We also conduct the Latino Books into Movies Awards as an effort to increase the number of Latino themed films that are produced. Las Comadres Para Las Americas. There have been local informal groups of Comadres around the country for over 25 years. Nora Comstock, whose passion is building community and sharing resources, used her technological background to take the concept these comadres groups had in common to the next level using the Internet. Instituto Cervantes is a not-for-profit organization created by the Spanish government in 1991. Its mission is to promote the teaching of Spanish and to contribute to the advancement of the culture of the Spanish speaking countries. Instituto Cervantes is present on five continents with more than 50 centers spread out across many different countries. This entry was posted in Carmen Rodriguez, Retribution, Women's Press Literary and tagged Book Expo America, Canada Reads, Carmen Aguirre, Chilean Student Protests, Instituto Cervantes, International Latino Book Awards, Las Comadres Para Las Americas, Latino Literacy Now, Something Fierce. Bookmark the permalink. So cute in this picture!!! we are all so thrilled and counting back for complete cellebration about Carmen’s being nomineed for this award. We are sure her novel is FANTASTIC! Break a leg! our heart is already with you! Patricia from Bariloche, Argentina.